Situated on Dubai’s Jumeirah Beach, this 5-star resort offers luxurious rooms overlooking the Arabian Gulf or the surrounding landscaped gardens. Facilities include a private beach and 2 outdoor pools. The rooms of Habtoor Grand Resort & Spa feature stylish interiors with Arabian touches. All are equipped with a flat-screen TV featuring satellite channels, and a DVD player. Grand Resort & Spa Habtoor has 12 themed bars and restaurants serving cuisines from around the world, such as Thai, Lebanese, English, and Italian dishes. Guests can enjoy 30 different relaxing facial and body treatments at the Elixir Spa. Habtoor also has 2 tennis courts, 2 squash courts, and a kids club. 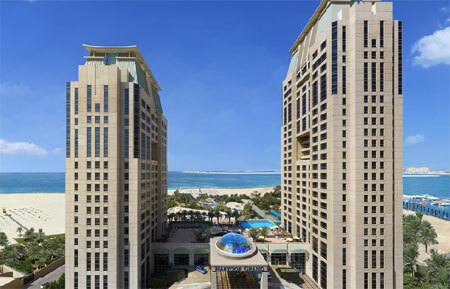 Grand Resort & Spa Habtoor is located next to the Dubai Marina. The largest shopping complex in the Middle East, the Mall of the Emirates, is only a 10-minute drive away. Free private parking is available.